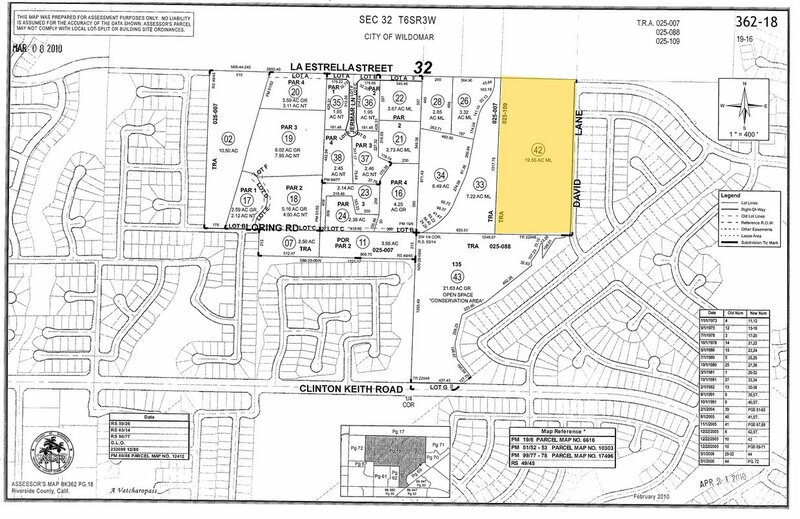 28 Lots APPROVED TRACK MAP 29476 in the City of Wildomar, CA. These lots are shovel ready to start building 28 beautiful single family detached homes with spectacular and breathtaking views of the valley below. Architectural plans by Woodley Architecture are also available, and the current plans are a step above the homes in the KB subdivision across the street, but on premium lots. We sold KB all the lots across the street in 2006, and we kept the best premium lots to develop ourselves. Almost 10 years of entitlement and finalizing the tract map are done, and the builder selling this tract has been building tract homes for over 65 years, Calprop Corporation. All the land to the west, or rear of the subdivision, is conservation land and can never be built on! Shovel ready 28 Lots for residential detached single family homes. You can have models ready in the Spring.